Left to right: Islam Mostafa, Eslam Ali, Amr Saleh. These were the words Elkrem left the ETHDenver audience with following their winning #BUIDLATHON presentation last February. The trio, comprised of Eslam Ali, Amr Saleh, and Islam Mustafa, also left the crowd with a little light: literally, the team powered a small light bulb onstage using Ethereum smart contracts and Status’ Whisper protocol to connect the realm of blockchain with Internet of Things (IoT) technology. Saleh and Mustafa first started building together in 2013 on the project 1Sheeld, which allows users to connect their smartphones with microcontroller Arduino boards. As self-proclaimed IoT hobbyists, creating the connection between blockchain and everyday devices came somewhat naturally to the duo, at least in concept. “We’ve spent the last five years building development software and hardware tools for engineers and electronics hobbyists to make it easy for them to prototype their ideas. We saw the potential of blockchain and IoT applications, and we like building tools to speed up development, so we [wanted] to build tools to make it easy for developers to build Ethereum connected IoT products.” Amr told us. 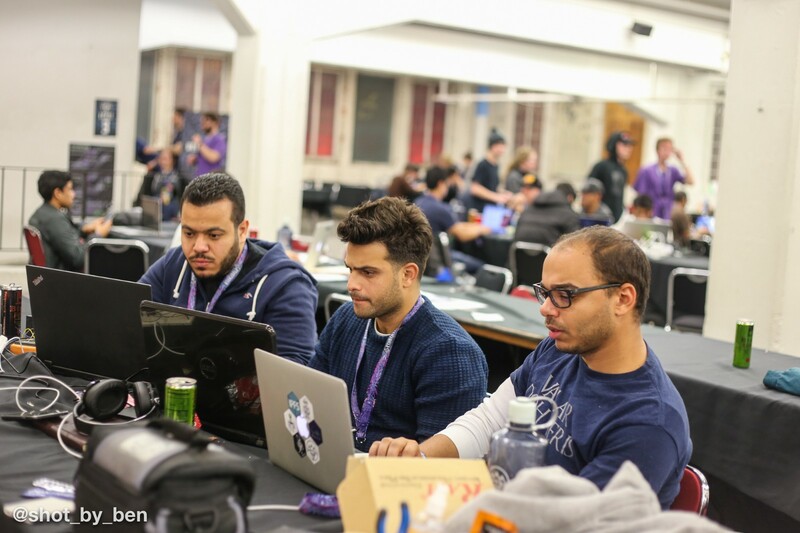 “We had the beginnings of the idea for Elkrem just before ETHDenver, but we obviously didn’t work on this until we got to the hackathon.” Amr said. Now, just 10 months after ETHDenver 2018, Elkrem is a nine-person team based in Cairo, Egypt who just recently graduated ConsenSys’ Tachyon blockchain accelerator program. They’ve created a development board which allows users to interface IoT with blockchains and decentralized technologies like Ethereum, Bitcoin, IPFS, IOTA, and more. Currently, they’re meeting with companies to commercialize their product, ramping up to launch a Kickstarter for their hardware development board, and best of all, they’re returning to ETHDenver 2019 as mentors. “We want to provide an interesting experience at ETHDenver from our experience as mentors. [We will] focus on how to utilize the three days of the hackathon to get the best dev work done and things like that.” Amr said. The Elkrem team are also hoping to launch their product live at ETHDenver next month, and will have some of their hardware on site to check out. “We are keen on delivering a good experience for developers, and research and development centers of enterprise companies who are interested in using Elkrem’s technology in proof of concepts at the moment.” Amr told us. ETHDenver is excited to welcome back Elkrem’s team to the 2019 #BUIDLATHON as mentors. If you haven’t already, join us by APPLYING to ETHDenver today. For more information on Elkrem’s products, visit their website. Diverse intelligences who are committed to #buidling the decentralized future. February 15th-17th, 2019. Apply today at https://www.ethdenver.com/. Diverse intelligences who are committed to #buidling the decentralized future.Distributed computing is the future, and Colorado is a leading community supporting this emerging technology. February 15th-17th, 2019. Apply at https://www.ethdenver.com/.